Other display-based features include replies for Google’s recently launched Broadcast feature. Currently, Broadcast lets you record messages on your phone and send them to any Google speaker or display—sort of like an intercom. Starting next week, users will also be able to send replies. So if you’re at the store and want to scare your roommates by saying “Hey Google, broadcast ‘Yo Steve, you want some eggnog?’”, they can scare you right back with a recording saying “Nah, I’m good brah.” You can also link up with a Nest Hello doorbell to spy on your packages and yell at your perpetually late mailman via the new two-way talkback feature. Also rolling out today is Google’s Pretty Please feature. Introduced at I/O, it reinforces polite manners. 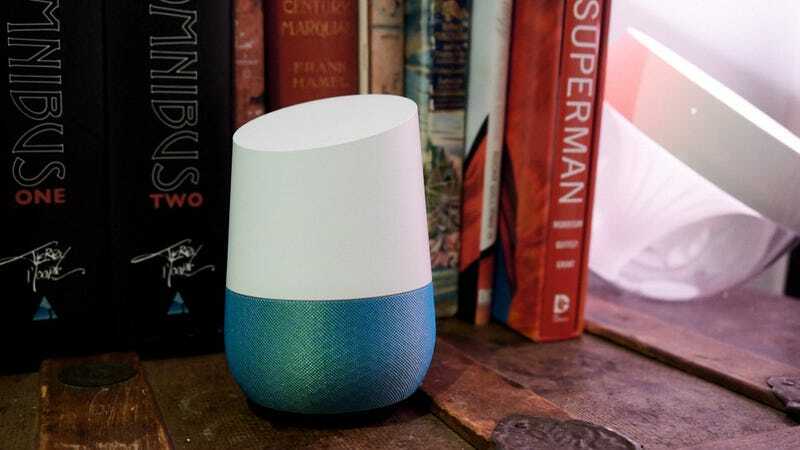 You’ll hear a nice chime and kind phrases if you use the words “please” or “thank you” when requesting something from Google Assistant. It’s aimed at helping children develop manners, but it’ll also work with rude adults who verbally abuse their voice assistants—aka me.